THE retirement of four military generals and their immediate reassignment to Foreign Affairs has been widely interpreted as President Emmerson Mnangagwa moving to coup-proof his regime by getting rid of key elements that toppled long-time ruler Robert Mugabe in 2017. However, this could have been a smoke and mirrors game, with the military entrenching itself to drive the country's diplomatic offensive and direct its foreign policy. A fortnight ago, Mnangagwa retired major-generals Martin Chedondo, Douglas Nyikayaramba, Anselem Sanyatwe and Air Vice-Marshal Shebba Shumbayawonda, all key figures in the military and part of the machinery that helped remove Mugabe in the November 2017 coup. The quartet was immediately redrafted into the Foreign Affairs ministry and are set for plump postings that could redefine Zimbabwe's foreign policy – tilting it towards the full militarisation of the diplomatic services at a crucial juncture for the country. The Foreign Affairs and International Trade portfolio is headed by Sibusiso Busi Moyo, a retired major-general, who only left the army upon his appointment by Mnangagwa to his current position. He was the face of the coup. A trending theory in Zimbabwe, given wind by some key Zanu PF figures, such as former Deputy Finance minister Terrence Mukupe and Gokwe-Nembudziya MP Justice Mayor Wadyajena, has been that Mnangagwa and his deputy, Constantino Chiwenga are at loggerheads, that the army sees itself as the more equal partner in the current administration and that the fuel riots in January were a smokescreen for another coup that was foiled. Mnangagwa has denied this. When Mnangagwa retired the generals, many analysts were quick to conclude that Mnangagwa had coup-proofed himself, although rumours are abound that the four generals are resisting their deployment. However, that synthesis does not take into consideration the fact that diplomatic service is also an influential posting. In Zimbabwe, the military is a pervasive presence in everyday life, with tentacles in business, police, the courts and even the country's roads. The diplomatic service may well be the last frontier and the military is taking over that part of the government too. Post the 2017 coup, Mnangagwa brought into government three generals, Vice-President Chiwenga, Moyo and Agriculture minister Perrance Shiri. Initially, Chiwenga also doubled up as Defence minister. All these ministries are part of the Cabinet's inner circle. In other words, the military through the retired generals had control of the Executive. More importantly, the military now had their own being the top diplomat as the country walked the re-engagement route with Western world. Isaac Moyo, another retired general was recalled from South Africa, where he was ambassador to head Zimbabwe's spy agency, Central Intelligence Organisation. Retired Colonel Christian Katsande was moved from the Office of the President and Cabinet to be Zimbabwe's top diplomat in London. Close sources have said the newly retired generals are set for postings in China, Mozambique, Tanzania and South Sudan, respectively. Chedondo is set for China, a country that many still think had an invisible hand in the 2017 coup. China is financially exposed in Zimbabwe. Over the last decade it has extended loans to the country totalling close to US$2bn for infrastructure projects. These projects include the upgrade of Robert Gabriel Mugabe and the Victoria Falls international airports, the National Defence College, the Kariba South hydro-electric scheme, NetOne's expansion programme and the refurbishment of Hwange Power Station's units 7 and 8. It is not far-fetched to assume that the Chinese wanted someone with direct links to the military to be their point-man on Zimbabwe. The Chinese want to be kept on the pulse about developments in the country because of the massive financial exposure and the strategic position in geo-politics, not to mention its platinum and lithium reserves. Nyikayaramba replaces another military officer in Mozambique, General Nicholas Mahuhuba Dube. Mozambique has since pre-independence played a prominent role to Zimbabwe's well-being. It shares the longest border stretch with Zimbabwe from the north to south. Nyikayaramba has been at the centre of Zimbabwean politics, having been seconded to the Constitution Parliamentary Committee, which was charged with drawing up a new Constitution for the country during the Government of National Unity era between 2009 and 2013. He also had a stint at the Zimbabwe Electoral Commission. With rising United States interest in domestic affairs of countries like Venezuela and Zimbabwe, it therefore comes as no surprise that the military wants to keep a keen eye on Mozambique, a country that has been receiving billions in foreign direct investment from the West. Tanzania is also a curious case in Zimbabwe's diplomacy. Retired military officers have been posted there and recalled back to rejoin the military. Sanyatwe, who was in charge of the brigade responsible for presidential security during the coup, also had command of the military unit that killed six people in the post election violence of August 1, 2018. 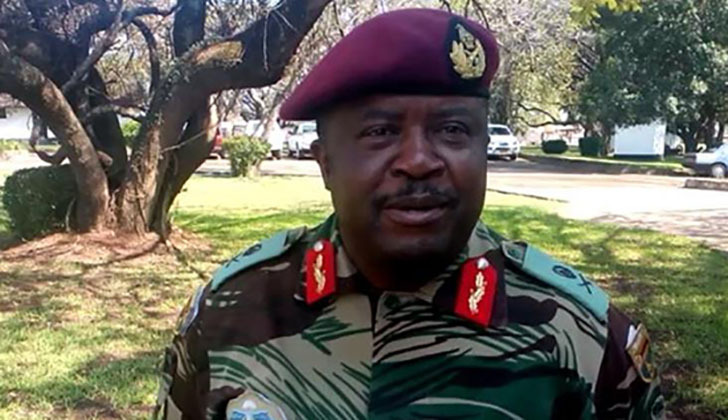 He has since been promoted to Brigadier General but is expected to replace Absolom Chimonyo who was recalled from Tanzania to be commander of the Zimbabwe National Army. Sudan is the new military theatre for big powers as they fight for the control of that country's oil reserves. The Chinese are trying to carve the market for themselves, the usual Western oil companies are also in the mix and Zimbabwe Defence Industries has been rumoured to be supplying arms to that country. Two years ago, a South Sudan official confirmed his country was negotiating with Zimbabwe for oil supplies. In that regard, the military has a keen interest in Sudan. It remains to be seen if South Africa and Russia will get military men as top diplomats. If that happens, the military would have near total control of the diplomatic services, with its people in key areas of engagement. Meanwhile, South Africa, where Moyo was recalled to be intelligence boss, most likely will get another military man for the strategic role it has on Zimbabwe's economy. It's clear the military has taken over Zimbabwe's diplomatic services and trade. SB Moyo is now more powerful than any other Foreign Affairs minister Zimbabwe has had since independence. On that score, the military now controls directly, not only the diplomatic thrust, but engagement with countries seen as key to Zimbabwe's reintegration into the world. Mnangagwa after all, may now be a mere face of the military establishment.